L.A-based DJ/Producer Elephante has just unveiled his brand new single Have It All, featuring Nevve. This song is taken from his upcoming sophomore EP, Glass Mansion, set to arrive on June 15th. Have It All is a beautiful piece of dance music with pop production featuring Nevve's stunning vocals which is going to be a sure hit on his live sets. Stream it below! 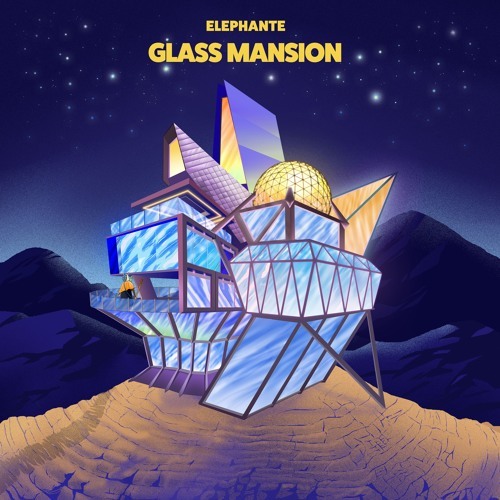 To celebrate the pre-order of his upcoming EP, Elephante has put together the Glass Mansion: Prologue package featuring his sensational singles, ‘The In Between’ ft. Anjulie, ‘Come Back For You’ ft. Matluck and ‘Troubled’ ft. Deb’s Daughter – available on Spotify. Glass Mansion is about wanting more. It's the dream that we're chasing - whether it's a career, art, a relationship - and the place we build in our heads that we think will ultimately make us happy. We spend all our time constructing and improving this imagined place, redecorating, buying furniture, planning the next addition. It's never enough and yet we keep building anyway, because we hope that once it's done we'll finally be satisfied. This project is about realizing that no matter how beautiful and strong what we build is, it's ultimately fragile and one stone could bring it all down. It's about coming to peace with the fact that it all might never be finished, and that's okay. It's about realizing that our Glass Mansion isn't the answer to all our problems, and it's about the journey of finding grace and happiness in a half-built home.